Playing at my daycare when I was 4 years old. Mississippi Queen, Rock n Roll All Night, Drum Solo. 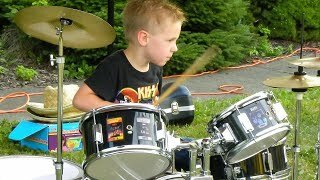 Jamming on my first drum teachers kit when I was 4.